In 2013, I signed up to do one of the craft medallions for the Lochac Laurel Cloak project, organised and executed by Mistress Rowan and the Worshipful Company of Broiderers (WCoB). The background of this project is available on the WCoB website: Laurel Cloak. 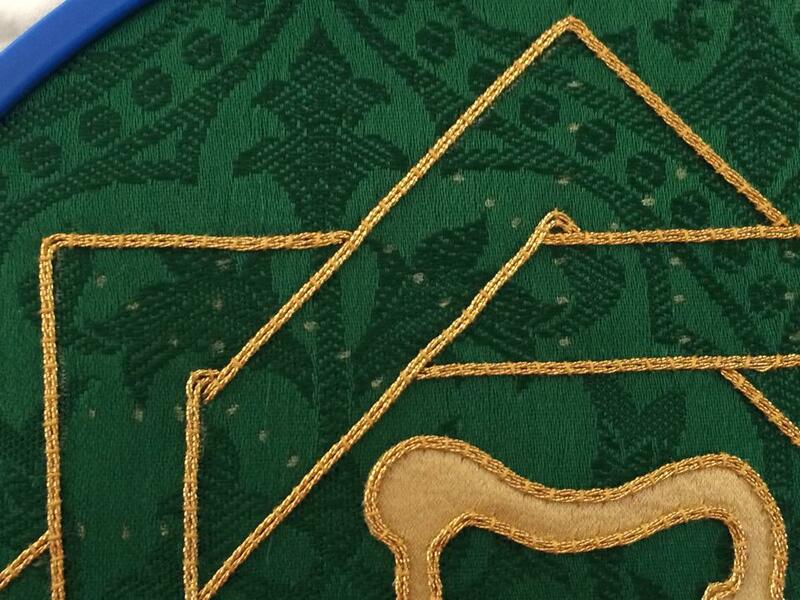 The various embroidered pieces that make up this project are also available online: Laurel Cloak Pieces. This includes a variety of drawings of pieces, and the finished pieces as they’re provided back to Mistress Rowan (project co-ordinator and WCoB Guildmaster). 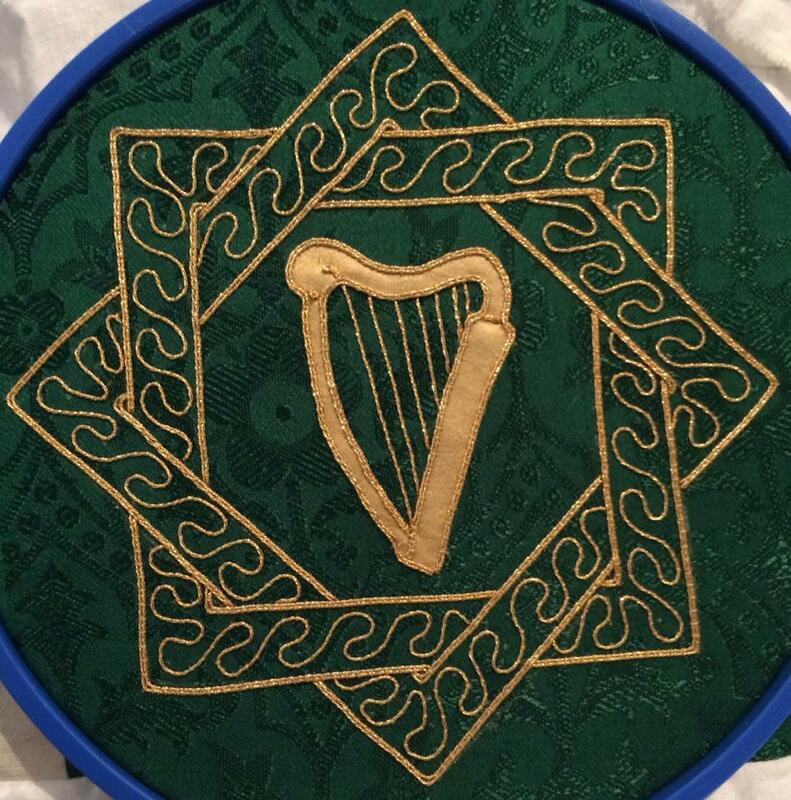 I received the project pack in the second half of 2013, which included instructions, a pattern, the green silk base fabric with the backbone of the design sketched on and the gold appliquéd harp body already in place. In January 2014, I completed the patch I was provided. It took me approximately 10 hours of gold couching from start to finish. This is my second project of the year (following on from the Royal Artisan Sweet Bag project) completed. 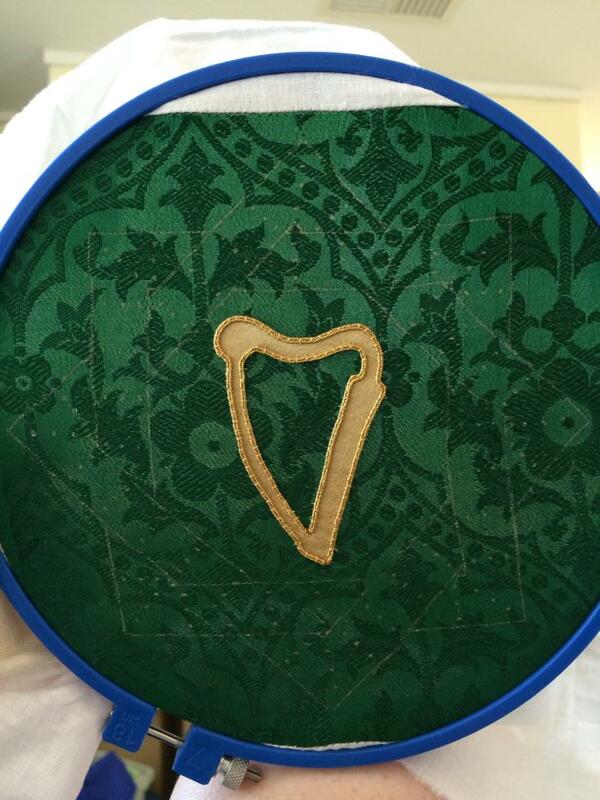 The green fabric with gold harp body appliqued on. Here, I’ve already outlined the body of the harp in gold twist. Ta-da! The finished piece, approximately 10 hours of goldwork completed!